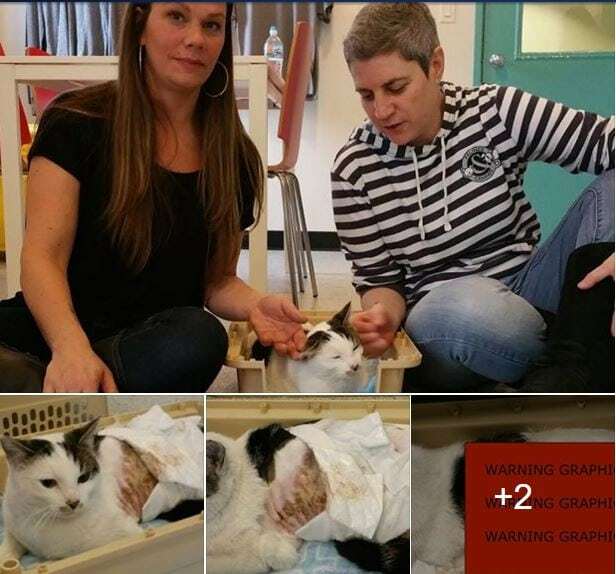 The drama that began online with a disturbing Facebook video of a cat being scalded with boiling water has temporarily gone offline. The suspect in the case, Leon Teague of Chicago, has been barred from using social media while he awaits trial. 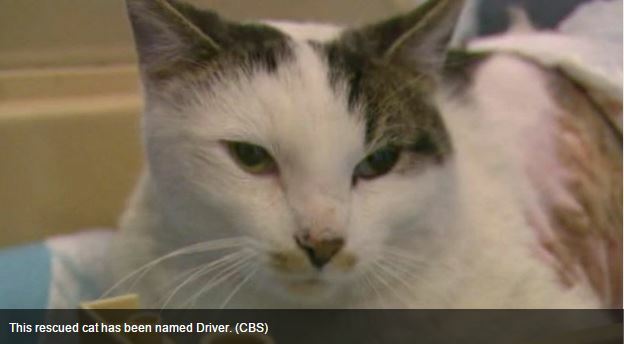 And at the request of police, all photos of Driver the cat have been taken down from the Facebook page of the animal shelter where Driver was given live-saving medical care three days after he was scalded by a pot of boiling water poured on him by a man whose voice can be heard luring the cat onto a back porch. 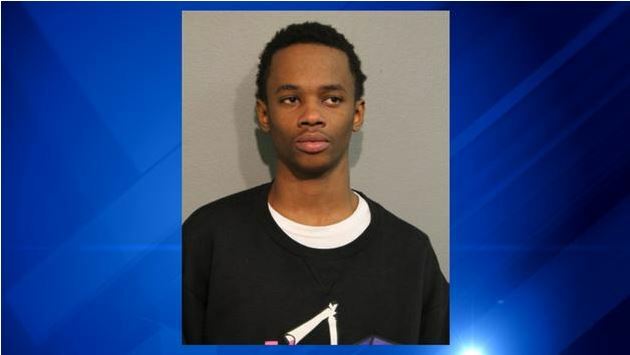 Teague, 18, of Chicago, is the man accused of felony animal torture in connection with the attack on Driver. Teague, a high school senior, has been been barred from using any form of social media or coming in contact with animals by Judge Peggy Chiampas, who spoke to Teague during a bond hearing last Friday, according to the Chicago Sun Times. “Do you understand me?” said Judge Peggy Chiampas, addressing Teague. “Yes mam,” Teague replied, according the Sun Times story detailing the bond hearing for Teague that took place in a Chicago court room. Chiampas ordered Teague held in lieu of $10,000 bail. The judge said that if Teague cannot pay the $1,000 bond, he could be released on his own recognizance, but must be placed on electronic monitoring, according to the Sun Times. Chicago Police issued a press release stating that officers came to Teague’s residence after they were alerted to the disturbing Facebook post that went up on the social media site around 10 p.m. Tuesday, the Sun Times reported. Chicago resident Heather Weidmann saw the video and called a friend, and said “We have to rescue this cat,” according to report on CBS News. Three days after the cat was burned, they found him in an alley near 69th and King Drive and took him to Chicago’s Animal Control unit, and later to Felines and Canines where he received much needed care for his severe burns. Driver is being treated with antibiotics and pain killers, and is expected to recover. Police were alerted to the video by animal advocates and came to Teague’s building where they saw the cat, but were unable to catch it, the Sun Times reported. Teague told the officers he knew they were there because of the video and he had been waiting for them to arrive, his police report said. Once inside, officers recognized the layout of the apartment from the video. Teague, a senior at Dunbar Vocational High School, is currently on juvenile probation for a residential burglary, according to the SunTimes. He also has another pending residential burglary case, Antonietti said. Punish this scum or he will carry on and on.dont let people evet get away with cruelty to animals.what will he do next time??? Maybe pour hot water over a child….